When we think of August we think, VACATION, CARNIVAL, BRIGHT SUNSHINE, BEAUTIFUL BEACHES, FETE, FETE, FETE and Persons born under the sign of LEO. Happy Birthday all Leos. Leo is the sign which represents Loyalty, Protection and Gratitude. This is why, being a Leo myself I say a resounding “Thank You” to all our readers from within the Caribbean Region and Internationally. Yes our support is growing from all parts of the world. We welcome you to our Carnival Newsletter 2013! Sign up for our Beauty Clinic at the end of August (Maximum 5 persons, 3 already registered) to enjoy complimentary education in Personal Beauty Care. In addition, book an appointment for our Carnival Specials through our website and get an extra 10% off your service! Come to Salon Success and experience THE REVIVER KERATIN TREATMENT. What Does the Reviver Treatment by De Fabulous Do? Reviver Shampoo is Sulfate Free. This means no harsh chemicals which cause lots of suds and over clean your hair. 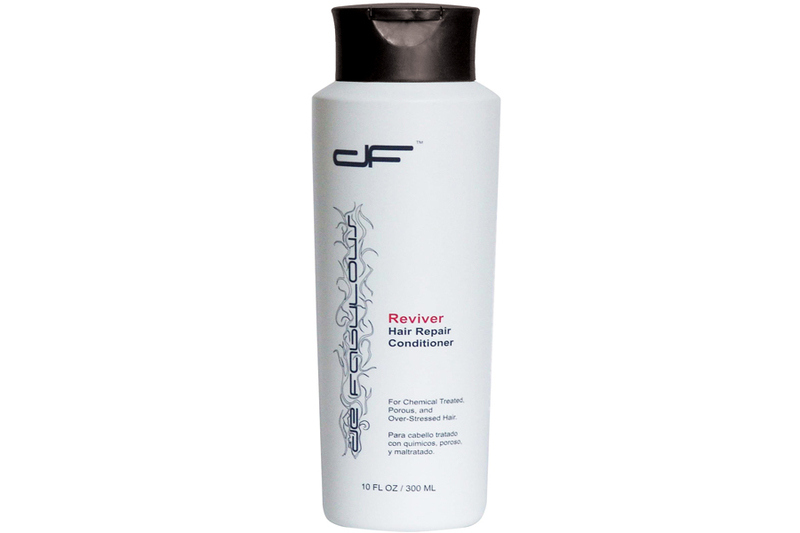 Reviver Shampoo has Plant Keratin to strengthen the hair while gently cleansing. The Treatment contains 20% Botanical Keratin which strengthens the Chemical Bonds in the Cortex of the Hair. The Reviver Treatment causes the Cuticles Scales to become tight and smooth locking in moisture from this treatment and blocking out humidity. After the Reviver Treatment is rinsed from the hair the Reviver Conditioner is applied. Hair to become smooth, shiny and subtle. All Clients are given a complete Hair and Scalp Consultation, at Salon Success, before any treatment is prescribed. Paul Mitchell launched, Paul Mitchell Shines XP, a new line of Demi Permanent Hair Color in Orlando in June. Margaret attended this Training session. The new Hair Cuts for Fall/Winter 2013/14 were also taught to twenty-two International Educators. Margaret was the only Educator present from the Eastern Caribbean. The Vision of the Salon Success Beauty Clinic held in St. George's Grenada at our training center in Belmont is to facilitate the basic training of young people in the Art of Beauty. On Monday July 8th Salon Success was closed to the public as Margaret demonstrated and taught her staff some of what she had been exposed to. PM Shines XP has been launched in Europe and will be available in North America, Grenada and Trinidad and Tobago in September 2013. We look forward to sharing with YOU this amazing line of Hair Color which works wonders on Relaxed Hair and hair of any texture and type. Karlan Bain-Debreu. Karlan is an expert in advanced Nail Technology. Karlan does the most natural Nail Extensions I have ever seen. Her designs of Nail art are creative, beautifully done and suits the client’s profession and style. Karlan owns the Nail Shak, located in Paddock, St. George’s. SIS-STARZ- CONNECTION, a boutique, located in Hill Side Mall, Market Hill, and St. George’s, Grenada. This Boutique is owned and operated by Vilma Thomas in Grenada Island. Vilma sells many fashionable clothing items for people of all sizes and shapes in Grenada. Vilma has just come back from a Buying Tour for her boutique and many of the items are the latest in Las Vagas, where Vilma finds that she gets exactly what the trendy Grenadian woman wants!